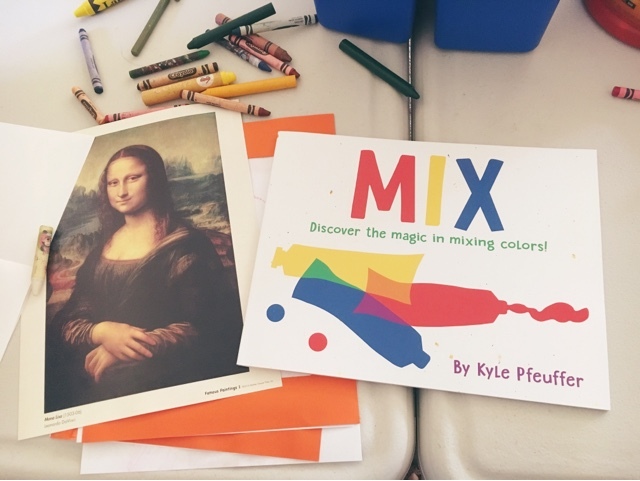 Tiny Toes in SoCal Sand: Summer Series: Art Studio Begins! Summer Series: Art Studio Begins! Happy Summer to you! We've been amazingly busy. 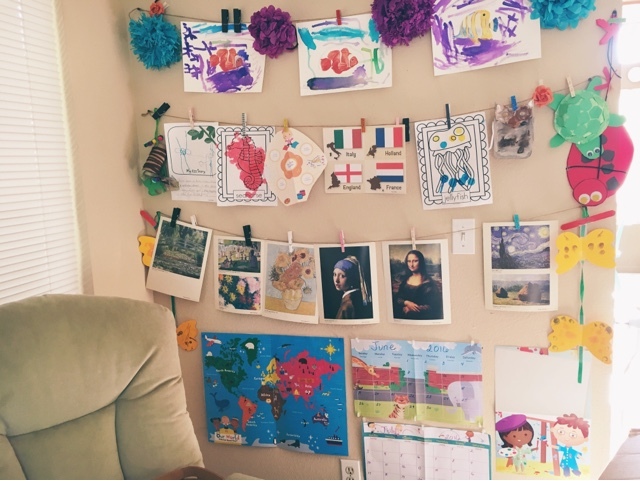 Admittedly, I thought I was going to go insane with the constant "on the go-ness" but I was able to catch my breath when my mom had the kids at her home for two nights while they attended a Waldorf School bug camp. It was lovely. I went to the beach twice and stayed in the water for an hour each time, conquering my fear of the waves since last summer's "caught in a rip current" incident where I almost drowned. I got to lay in the sun and read my books and listen to Ziggy Marley on my phone. It was like a total renewal for my soul! I adore my children but nothing makes me a better mom than having a little break to fill up my oxygen tank. We've got more busyness coming up with a week of church family camp where I've been invited to teach the children (Oh my goodness...I'm so excited! I prayed that God would give me an opportunity to serve with children in my church, and He answered my prayer in three days as I was asked to teach VBS and family camp! Having been out of the classroom for six years, I've felt a little piece of me missing). My friend told me that summers are busier than the school year, and now I see that this is true! 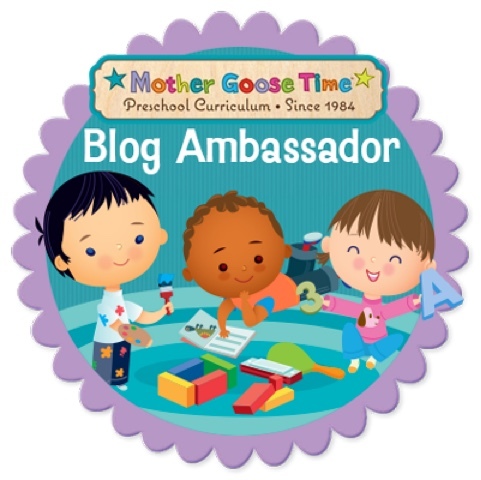 I'm so thankful that I'm able to tailor Mother Goose Time curriculum to our needs. I'm doing the bare basics this month and decided to focus only on the art component. There is an amazing money portion as well which makes me very sad to miss. Art Studio is written differently than the other months. Because of this, it was very easy to separate out the art portion. I hung up the beautiful art that was included in the kit as well as the poster and the calendar. 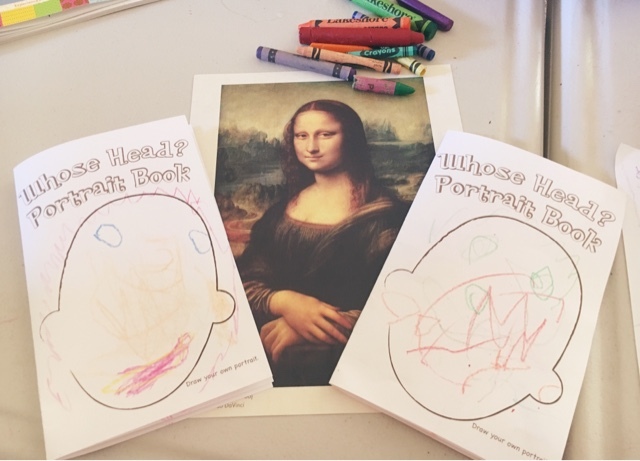 The day's lesson plan for the art portion was discussing the Mona Lisa painting, looking at their own facial features, coloring their faces, and coloring the flip book. This is the book that comes with the kit this month. Adorable. They studied their faces in makeup compacts that I gave them and drew themselves. Admittedly, they were distracted due to summer and all of the busyness that I wrote about earlier. 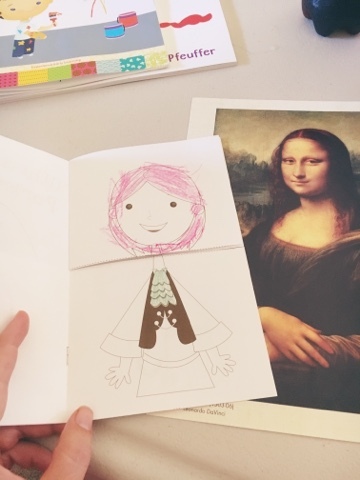 The lesson took about twenty minutes and they didn't have the stamina to finish the whole flip book, so we'll take it out to work on during free moments. 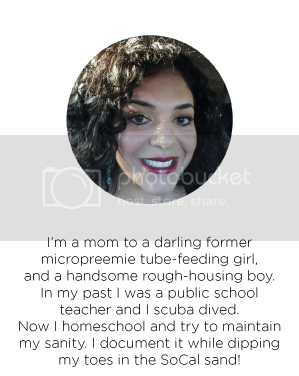 But this is what homeschooling/teaching is all about...Recognizing the events going on around the children and molding the curriculum to their needs at the time. 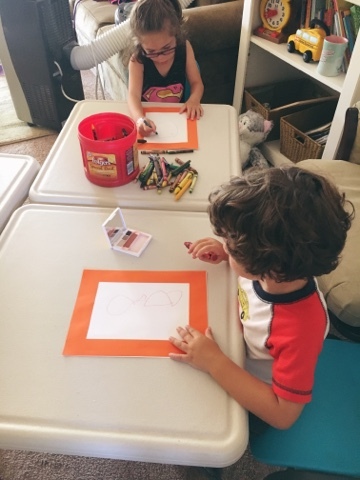 Tiny B is working on reading this summer and her fine motor skills with the art, and Strong B is focusing on expanding his vocabulary through the art lessons as well as fine motor skills and simply enjoying the last month of being a three year-old. It doesn't get much better than that. My summer series posts are supposed to be short. Oops. Summer Series: Cubism with MGT!